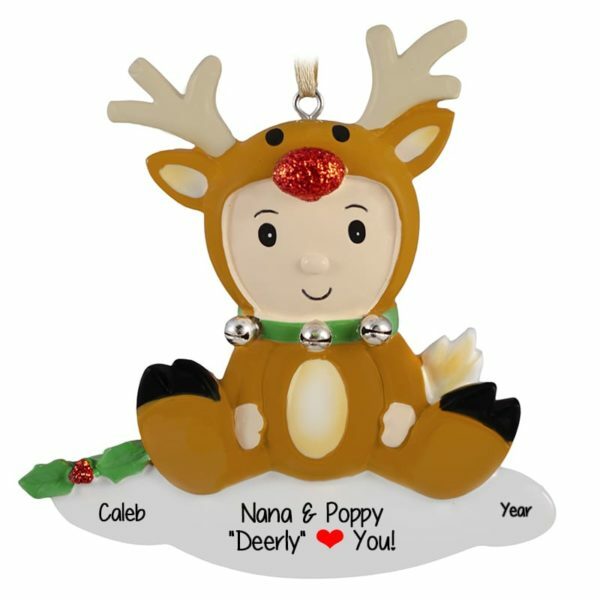 Celebrate a sweet little guy with our We Love Our Grandson Reindeer Ornament. Featuring an adorable baby dressed in a super cute reindeer costume, let us add personalized text for free! This makes a great keepsake to be treasured for many years to come, so buy your ornament today!